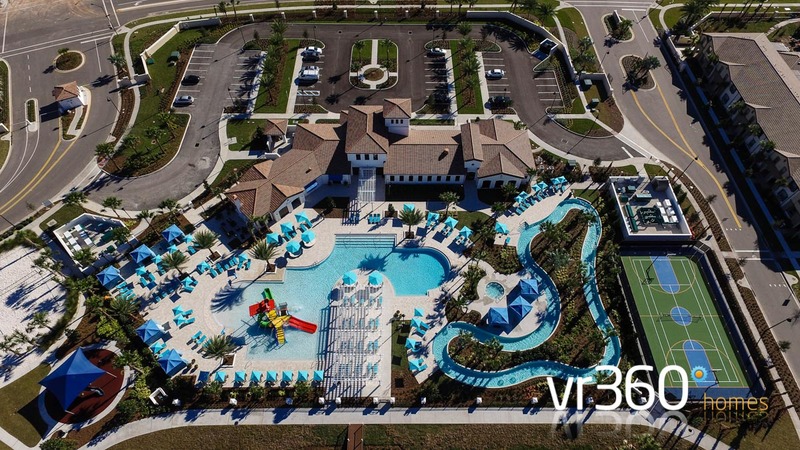 Windsor at Westside villas, this brand new community of luxury Orlando vacation rentals just 8 miles from Disney World has it's own 10,000 sq.ft resort style clubhouse with lazy river, zero entry pool, fitness center, tiki bar and more more. This video shows you exactly what the stunning Windsor at Westside vacation community has offer. The location of Windsor At Westside gives you easy access in to the back entrance of Disney World via Black Lake Rd and then Sherbeth Rd so you will have with very minimal traffic. For guests flying in this community is just 30 miles from Orlando International Airport via the 417 toll road which normally takes about 35 minutes. To book one of our luxury Windsor at Westside Villas please contact the owners direct via the contact form on the property listing pages and we will update you with more information about the resort facilities as it happens. For more information about the Windsor at Westside clubhouse and restaurant please visit our Orlando villas blog.